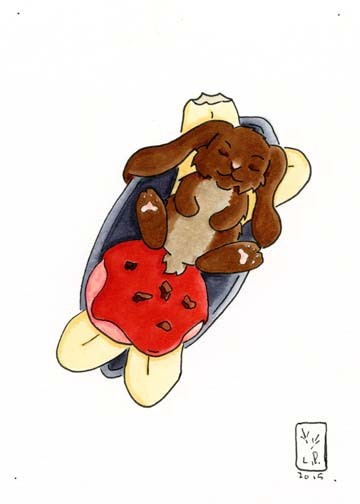 I am not sure that an ice cream split is the natural habitat of a rabbit, but he certainly seems to be enjoying it. Not sure he is going to manage the last scoop, let alone the banana, at this rate. That is a real shame since we know that a banana split is health food as long as you finish the fruit.